What better way to say goodbye to summer than at the beach! 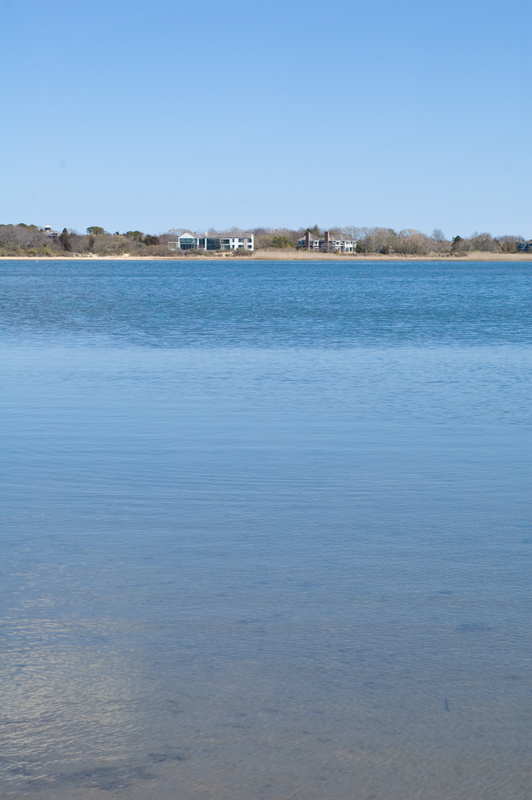 The BF and I found this great little bay beach in East Hampton. Although it was private (shhh) we jumped out of the car and snapped some pics. The BF even took a stab at capturing the landscape and the results are GORGEOUS. I think we have a burgeoning photographer on our hands. That last pic is BEYOND gorgeous. Please frame it immediately. I love your top! It's so much fun :) Your distressed jeans are very cute! 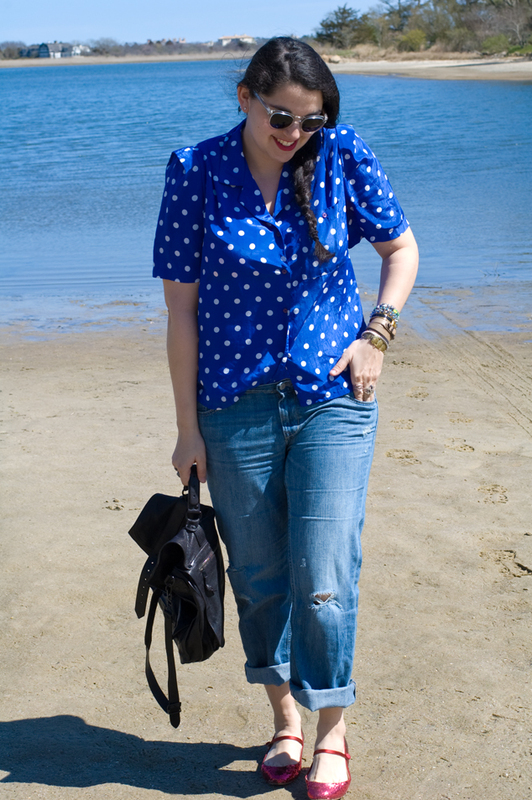 What a great way to say goodbye to summer and to fit in one last summery outfit! 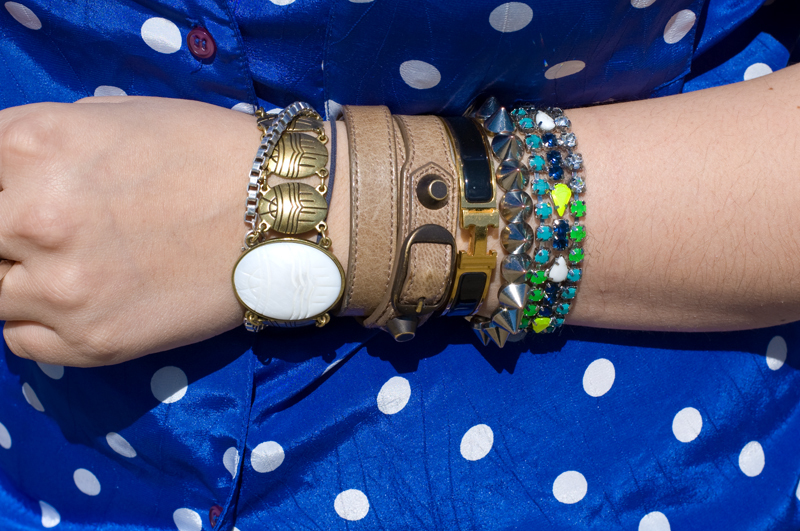 Love the polka dot top and your mix of bracelets is beautiful, I'd kill for that Hermes or balenciaga! I agree. Mold him into that bf blogger photographer that we all want so badly, you lucky girl you. The blue water suits you well. You look gorgeous, as usually, and I'm loving the styling here as well. These damn boyfriend jeans are poppin' up all over the place, so now I have to go and buy myself some. Obviously. good to know I can ( or could ) get them at old navy for a fairly decent price. Love the mix of jewelry too! Each piece is so different, and it's so cool how you've mixed them all! hi, that is s good collection of bracelets.. lovely 6 combination. 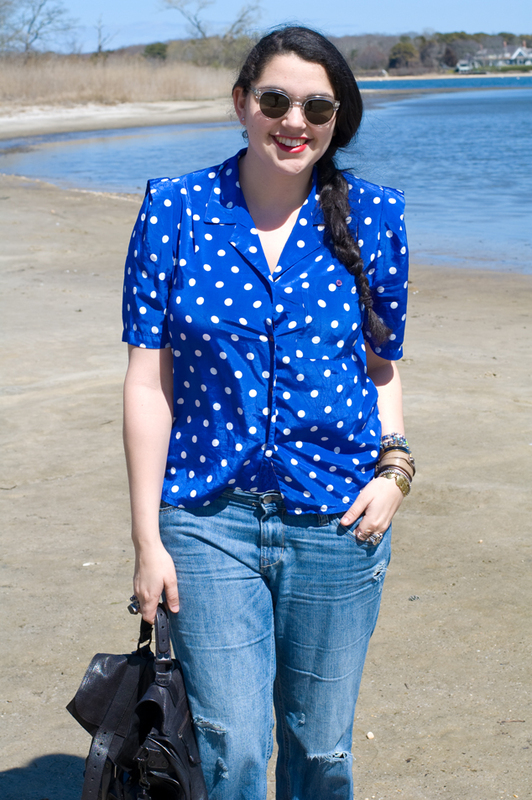 the blue shades are quite exotic and i admire your polka dots designer blouse. but you have not mentioned the brand for that. the red shoes amazing highlights the overall look and appeal. you look lovely..